Some of the remains are now on display as part of the exhibit “Dinosaurs Among Us” at the New York-based history museum. The fossils Other specimens used in the study are kept by Chicago’s Field Museum of Natural History and the Wyoming Geological Survey. 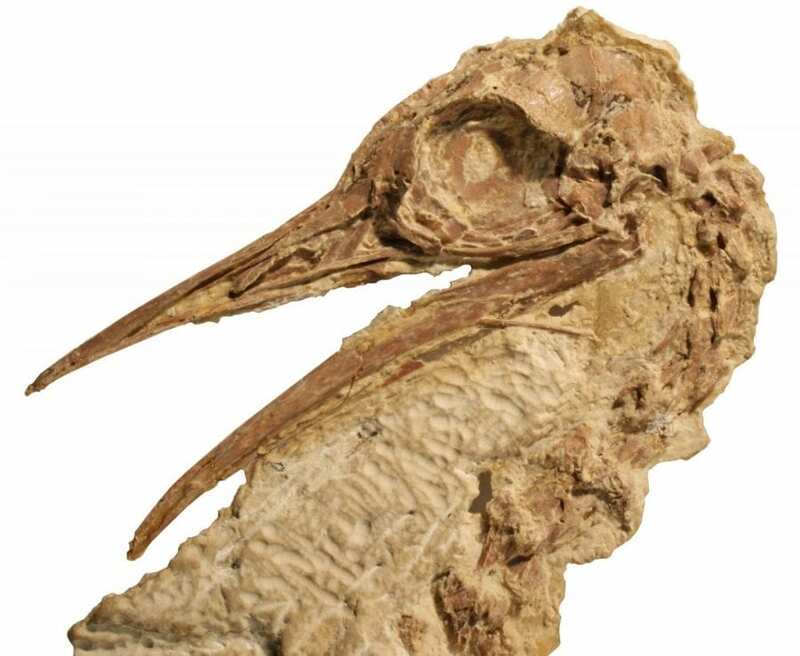 The new species is named Calciavis grandei – with “calci” meaning “hard/stone,” and “avis” from the Latin for bird, and “grandei” in honor of famed paleontologist Lance Grande who has studied the fossil fish from the same ancient North American lake for decades. This is a Lithornithid skull from the Calciavis grandei fossil, found in Green River Formation of Wyoming.